SK-II arguably popularized the essence to larger population outside of Asia, but at that price point, many of us scramble to find something a little more easy on the wallet. Tatcha, one of my favorite skincare brands, offer The Essence, which, at first glance seems to carry with it a hefty price point (which it does), but with the amount of product you get it’s actually in the mid-tier range when compared to brands who give you less product for your money. The brand currently offers The Essence in the 5.1 oz bottle. I ordered it via their website online and was actually disappointed in that the packaging leaked a little via transit. Not a lot, but at this price point I don’t have a drop to spare! Performance wise, it absorbs easily, is luxurious to use, and feels refreshing on the skin. 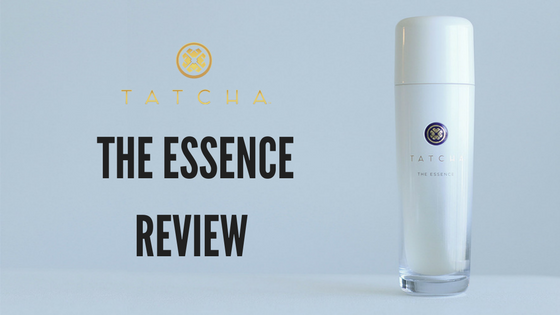 The bottle is weighty and beautifully designed, per what you would expect from Tatcha. If you are looking for a less expensive option to SK-II’s famous Facial Treatment Essence, this product will deliver what you need at a slightly more economical cost. In the future, since I am trying to be cognizant of value in skincare, I will probably still go with Missha’s Time Revolution The First Treatment Essence, however, because I like that product’s performance equally as much as I did Tatcha’s, at a fraction of the price. Tatcha’s packaging, user experience, and “delight” factor can’t be denied however. Except for the hiccup in this product leaking a bit during transit, everything about opening up a Tatcha delivery is exceptionally well thought out and no detail is spared. I think that is what sets it apart from its competition. It truly is a luxurious experience using this product, one I look forward to every morning and evening – while it lasts!